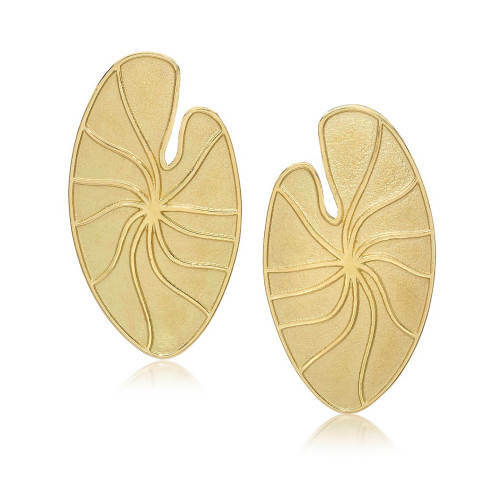 18 kt gold Lily Pad earrings, stylized from the delicate Lily Pad. 18 kt yellow gold earrings inspired from Lily Pads. Available in 18 kt yellow or white gold.